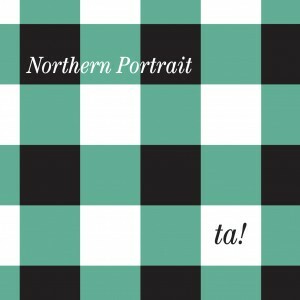 A handsome collection of non-album tracks released by adored Danish band Northern Portrait over the past six years, including songs from sold out EPs, vinyl-only singles, and compilation appearances. Northern Portrait debuted in 2008 with two very well received EPs—‘The Fallen Aristocracy’ and ‘Napoleon Sweetheart’—both of which sold out almost instantly upon release. Following their critically acclaimed debut album ‘Criminal Art Lovers’ in 2010, the band released two vinyl-only singles—the ‘Life Returns To Normal’ 7” (2010) and the ‘Pretty Decent Swimmers’ 10” (2013)—and contributed exclusive tracks to three Matinée compilations. Ta! compiles the 15 tracks from these releases into one handy collection. The songs from ‘The Fallen Aristocracy’ and ‘Napoleon Sweetheart’ have experienced a complete revitalization with the band returning to the basic recordings, hitting the re-set button, and remixing them to bring out nuances and details that were inaudible on the initial EP releases. Early favorites ‘I Give You Two Seconds To Entertain Me’ and ‘The Fallen Aristocracy’ remind us of the thrill of hearing Northern Portrait for the very first time, while ‘Waiting For A Chance’ and ‘Our Lambrusco Days’ perfectly showcase the brilliant enhanced orchestration of the remixed versions. Tracks from the vinyl singles and compilations have been remastered for this album and demonstrate the richness of Northern Portrait’s more recent recordings, from their especially jangling Christmas song ‘Leave The Trees Alone’ to the accomplished hits ‘Happy Nice Day’ and ‘I Feel Even Better’ from their recent 10” release. A wonderful opportunity to revisit Northern Portrait songs from their first six years, Ta! is a cohesive album that bridges the gap until the band returns with its highly anticipated sophomore album next year. Available in a matte-finish eco-wallet with annotated tracklisting by the band.